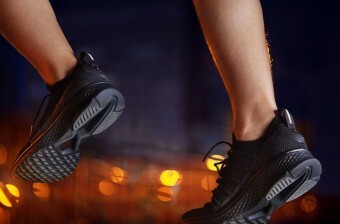 China's mobile maker Xiaomi has launched a new product Mi Men's Sports Shoes 2 in the Indian market. Recall that, recently, Shomei had released a teaser, which indicated that the company would soon launch 'smart' shoes in India. Xiaomi has now launched Mi Men's Sports Shoes 2 for Indian customers while stepping into the footwear category. Explain that this is first available on the company's crowdfinding platform. Xiaomi has claimed that these shoes have been made with 5-in-1 uni-molding technology. Five different materials have been used in making these sports shoes, due to which the shoes are shockproof, durable and slip-resistant. These shoes are now available for Rs 2,499 on the company's crowdfunding platform. Mi Men's Sports Shoes 2 has been launched in Black, Gray and Blue colors. Delivery of shoes will begin on March 15. The price of Mi Men's Sports Shoes 2 in India is Rs 2,999. Until the news was written, 632 units have been sold and 12 percent of Shaomi's purpose was completed. The crowdfunding listing will remain live for only 10 days. You can buy Xiaomi's new shoes from here. To make Mi Men's Sports Shoes 2 synthetic rubber outsol, vacuum presses midsole, TPU midsole balancing patch, cushion patch and PU supporting layer are used. Xiaomi says that Improv balance reduces the risk of comfortable cushioning and sudden spray during the 10-fishbone structure Orch support. Not only this, the company says that these shoes are ultra-efficient. Mi Men's Sports Shoes 2 has been made from British Mesh Fabric, which is why you can wash them easily if you want to. Android App for the latest tech news, smartphone reviews and exclusive offers on mobile.